Today I visited Williamsburg, Virginia and the weather was perfect. It was the kind of day that made me believe that spring is really here. 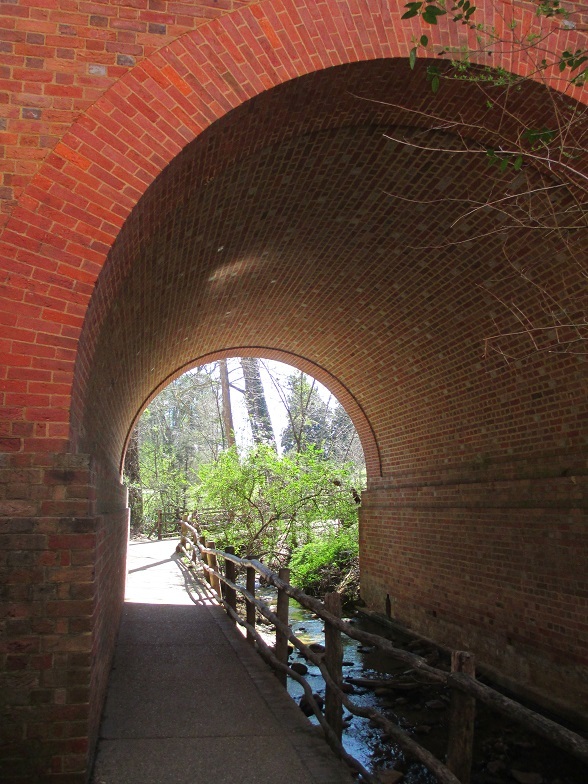 As I walked from the Visitor Center to Colonial Williamsburg I saw this tunnel that provided a preview of bright sunshine and an entrance into a new season. Look here for more photos. This entry was posted in Travel, USA, Williamsburg and tagged postaday, walking. Bookmark the permalink. There’s a photo in many things that we would otherwise overlook. That’s really true and it’s so interesting to look for them! I agree. I take my camera (almost) everywhere…just in case. Great plan – I try to do that too! You captured a perfect day, perfectly! Nice! Thank you Ruth – it was a day to remember! It is like a promise of what is to come. That is just the way it seemed and it was really wonderful! That’s beautiful, Meg, what wonderful brickwork. I really thought the tunnel was an impressive structure too! Pingback: Weekly Photo Challenge / B4 Retouch: Threshold (Dormitory) | What's (in) the picture? Thanks Amy – it was a wonderful sight! A lovely watery threshold, Meg :) I took some similar but very different shots in Glasgow. Not posted yet. Jobs to catch up from yesterday. Thank you Jo and I’m looking forward to seeing your pictures from Glasgow! Beautifu thresholds. The very concept of “thresholds” is rather intriguing isn’t it…so many interpretations to such a familiar word? It really is a word that can have so many meanings – it lets you be imaginative! I love the brickwork around Williamsburg. I do too Patti – it’s really beautiful! Thank you Sam – I thought it looked like an entrance into spring! Williamsburg is a great place to visit. We were there a few years ago and really loved it. It really is wonderful to visit and I’m looking forward to going there again!